As if we weren&apos;t confused enough! 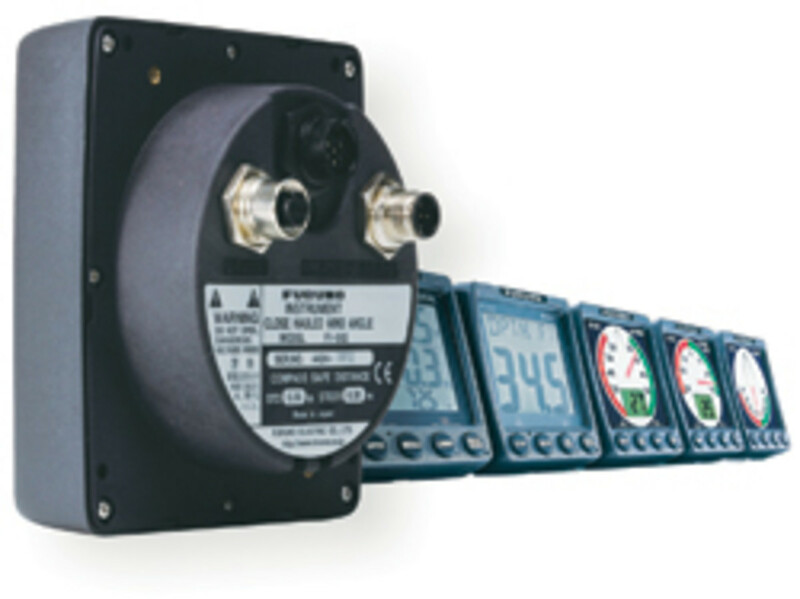 Maretron and Furuno have both introduced important new products that marry the NMEA 2000 marine-data protocol with the speed and universality of Ethernet, but most of us will need to expand our knowledge of networking technology to understand the merits of this blessed union, and that schooling can be painful. Here the author is building a custom N2KView screen using live data from his sensors. Take "packetization." I like to think of a packet as an official and particularly handsome vessel used in the old days to carry mail and the like. That image also illuminates the modern and much drier meaning of packet as a block of data specially formatted to move reliably through the wild seas of Ethernet/Internet. When you send an e-mail, it gets diced up into packets that travel independently until they reach the recipient&apos;s computer, where software reassembles them into your message. Imagine a teensy captain making sure each of your precious words gets there. Of course networking is possibly more complicated, if less dramatic, than ocean voyaging. That&apos;s why it&apos;s often conceptualized in layers, starting with the physical—i.e. 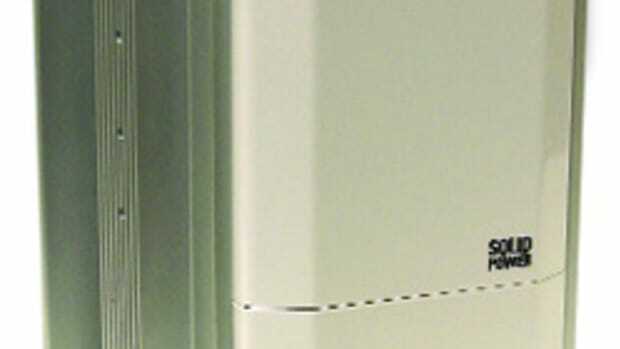 the specific cabling or wireless frequency—and working up through data link, network, transport, and finally application layers. Your e-mail packets likely used Cat 5 cable, Ethernet, IP, TCP, POP3, and maybe Outlook to reach their destination, but there were numerous other possibilities at most every layer along the way—hence IT departments. 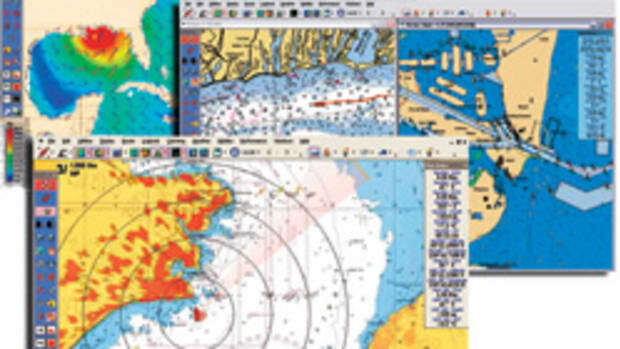 By contrast NMEA 2000 fairly rigidly specifies each network layer, which is why you can use a generic cable to plug, say, an N2K GPS into a network of plotters built by different manufacturers, and they&apos;ll all understand it. Yes, there are a few loopholes in the standard, and hence a few anomalies, but the more important point is that GPS does not use any of the layers found in the networking that&apos;s got us all connected by e-mail, Web pages, etc. 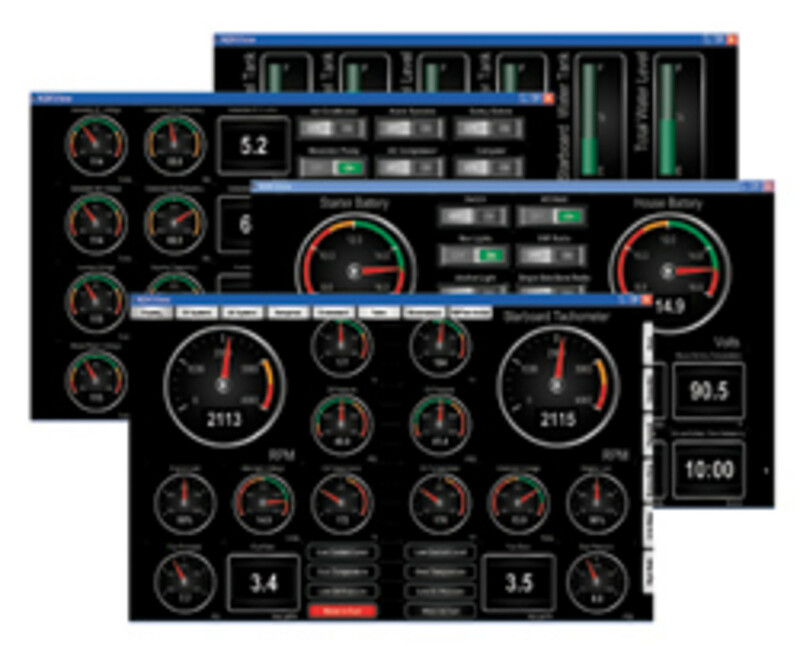 These standard N2KView screens show the variety of data and switching that&apos;s possible. Which is why the screen seen above is a little magical. Taken right off my desktop PC, it shows the data running around the NMEA 2000 network in the lab downstairs because that data has been packetized and then served from the lab&apos;s PC onto my home network. My house has become like a well-connected megayacht! I could be on the bridge monitoring the "at anchor" info I laid out on this particular screen, or in the engine room scrutinizing and controlling A.C./D.C. systems, or—since my network is wired to the Internet—even in an airport checking my "yacht" on a laptop or a cellphone. This is Maretron&apos;s new N2KView in action, and it&apos;s simpler to operate than it is to actually explain. A regular Maretron USB100 Gateway T&apos;s from the 2000 network to a USB port on the lab PC. There the N2KView Server program automatically repackages the data into the multiple layers (Ethernet, TCP/IP, etc.) needed to access it from my "bridge," or your office, if you had my password. You&apos;d also need the application software N2KView itself, which knows how to reassemble all the marine-specific 2000 data from the packets and can display it on screens for default engine, environment, navigation, etc., or on ones you design yourself (geeky fun, actually). N2KView can also reverse the whole complex path, letting you, say, touch-screen a command to turn on the deck lights from wherever you are. Actually N2KView doesn&apos;t yet have touch-screen capability or much in the way of sophisticated alarming (i.e. 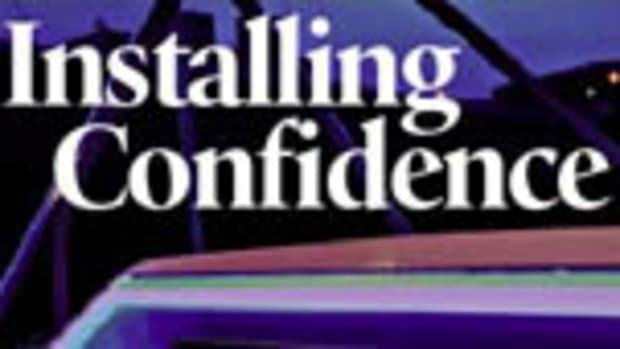 "if bilge level exceeds &apos;x&apos; level, ring crew buzzer, call 000-000-0000, and..."), but Maretron promises it will have all this as well as versions that run on PDAs, Smart Phones, and even Macs. N2KView has a ways to go to justify its $3,000 price tag and is obviously meant for larger boats, but the difficult below-the-application-layer network marriage works, and the possible offspring are unlimited. 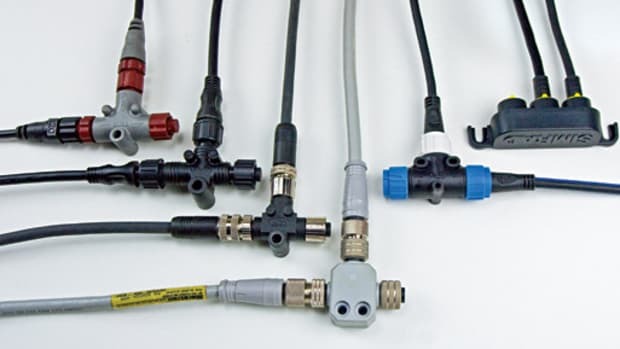 In fact, Maretron says it would help NMEA add such packetization to the 2000 standard, something that frankly should have been done in the first place. I don&apos;t know if that will ever happen, but I&apos;m sure that other ways to join multimanufacturer NMEA 2000 data to fast onboard networks and beyond will come along. 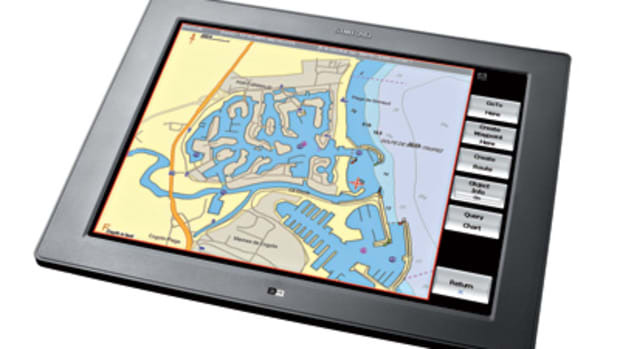 Furuno NavNet 3-D has many new features, including NMEA 2000-based instruments. 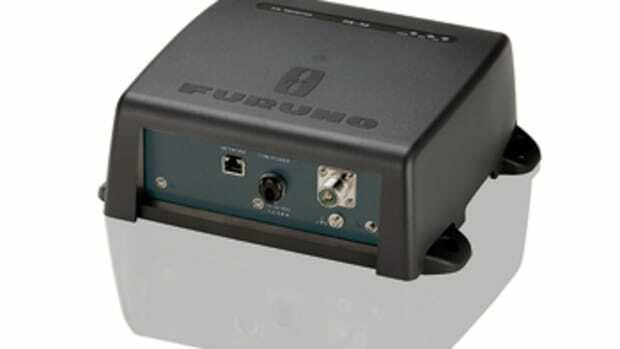 Meanwhile Furuno has come up with another way that NMEA 2000 and Ethernet can cohabitate nicely. 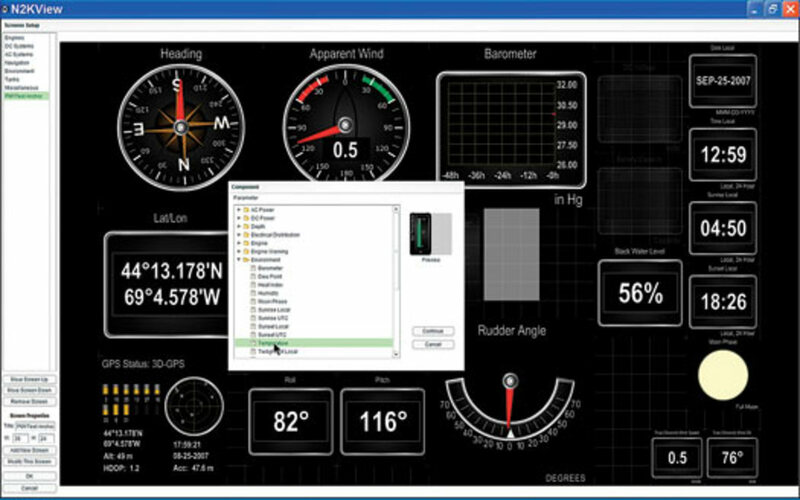 All the new high-definition radar scanners available with NavNet 3-D, which range from a 2.2-kW dome to a 25-kW array, have a standard N2K plug, as do the three new 3-D displays. 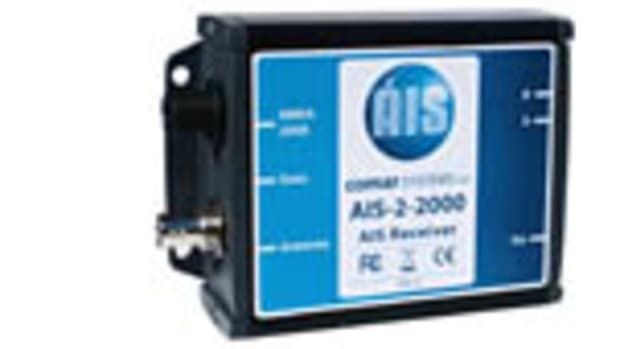 Any of Furuno&apos;s new 2000 sensors (GPS, weather station, or satellite compass) can share single cable power and data with a scanner, inside of which the data is, you guessed it, packetized into NavNet. From the scanner it&apos;s delivered via a single Ethernet cable and a NavNet 3-D hub to the boat&apos;s displays, where reassembled N2K data is sent out the standard port. In other words, Furuno is using Ethernet to bridge separate N2K networks, which will make some installations elegantly simple while still having powerful data-sharing abilities. Note, though, that NavNet 3-D scanners will so far only bridge Furuno 2000 devices—purportedly because of other manufacturers&apos; proprietary calibration messages—and Furuno is not yet using its packetization abilities to enable off-boat monitoring. But rest assured that Furuno understands the possibilities (and I&apos;ll have much more about 3-D next month). 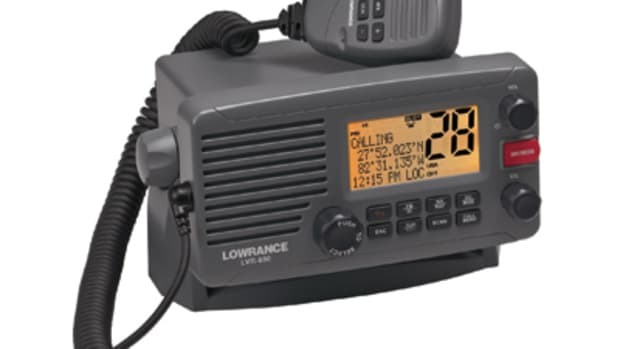 I should also add that Raymarine included a level of packetization in its SeaTalkHS networking protocol two years ago, which is why a second or third E-Series multifunction display can be added to a system with just power and Ethernet cables. 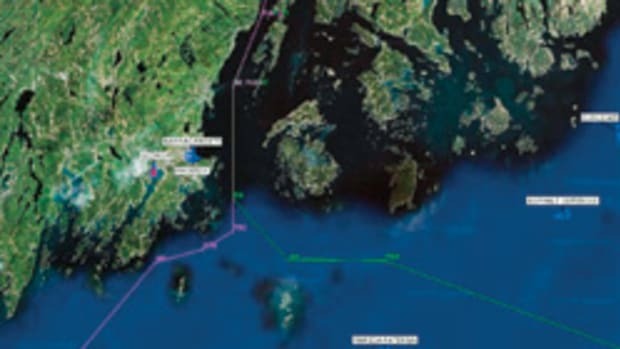 And Palladium Technologies &apos; Nav Express, a hardware/software product that can get good old NMEA 0183 data into and out of a yacht&apos;s Ethernet network, has also been around for a while. But none do quite what Maretron and Furuno are doing. And who knows what other boat network exotica I&apos;ll find at this year&apos;s round of shows? But if I find my eyes crossing over a spec sheet full of arcane protocol language, I will try to remember my tiny brass-buttoned packet captain intent on getting my data wherever it wants to go. For the latest on what turned up at the fall shows, visit Ellison&apos;s blog Panbo.